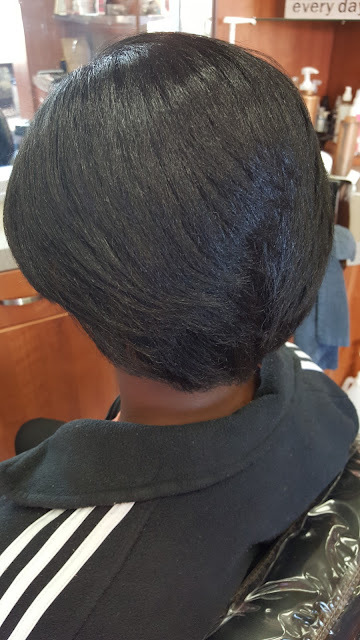 I do silk presses everyday in my salon. In fact, since I do so many of them I can tell when the hair needs to be trimmed just from touching it. Notice that I did not say I can tell from looking at it because as you can see in this picture above, or the "before" picture, all of the hair looks the same while in its natural state, from the roots to the ends. 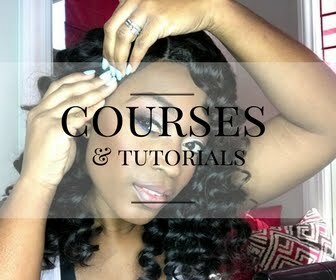 This is why many natural women do not get trims very often. When your hair is in its natural state, the split ends fit right in with all of the other (healthy) hair. I have had natural women tell me that they have not had a trim in years. They knew it was time for one but just kept putting it off because their hair did not necessarily look bad on the ends. 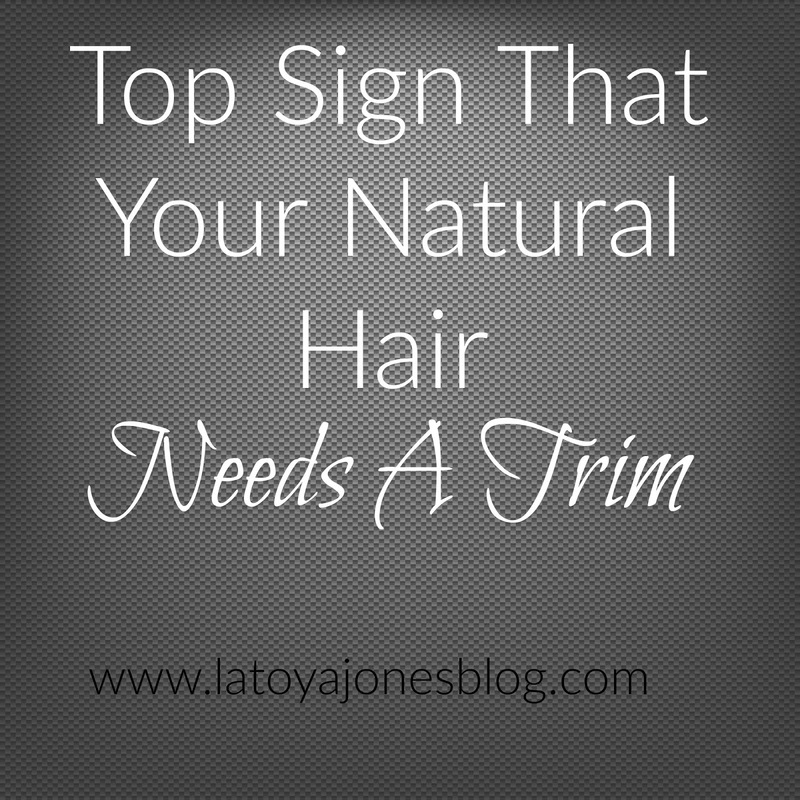 So, how can you tell when your natural hair needs a trim? If you look at the picture above and the picture below, it is very obvious to spot the split ends when the hair is straight. When the hair is curly, you can tell in the detangle process. 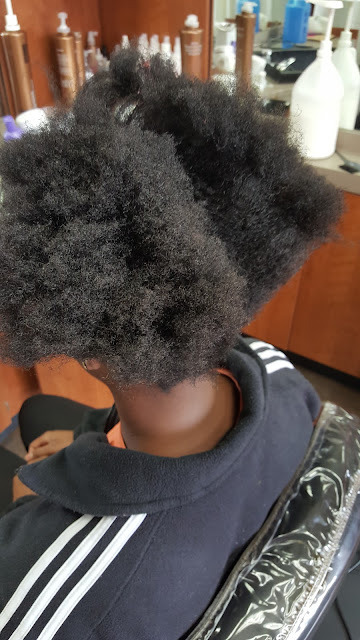 When the hair gets very hard to detangle on the ends that is a clear sign that the ends are splitting. 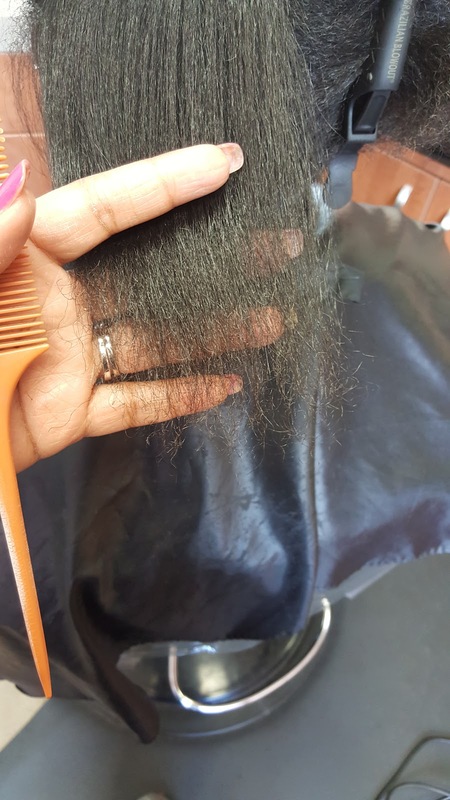 You can tell when the comb goes through easily from the scalp to the mid-shaft, but when you get to the ends it gets extremely tangled, that is a clear indicator that it is time for a trim. The comb should go all the way through the hair smoothly. This client had not had a trim in over a year. Yes the split ends make the hair look longer but they also make the hair not look healthy. 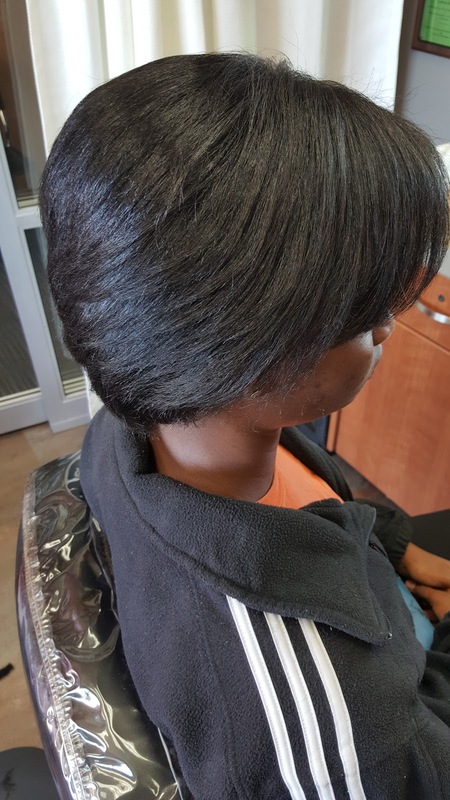 Once the hair has had a trim, you can see immediately see how much healthier the hair looks. I recommend getting a trim at least every three months on average. 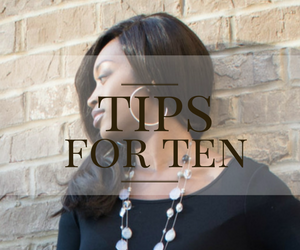 The longer you wait to get a trim, the split ends will only continue to split up the hair shaft meaning you will have to get more cut. 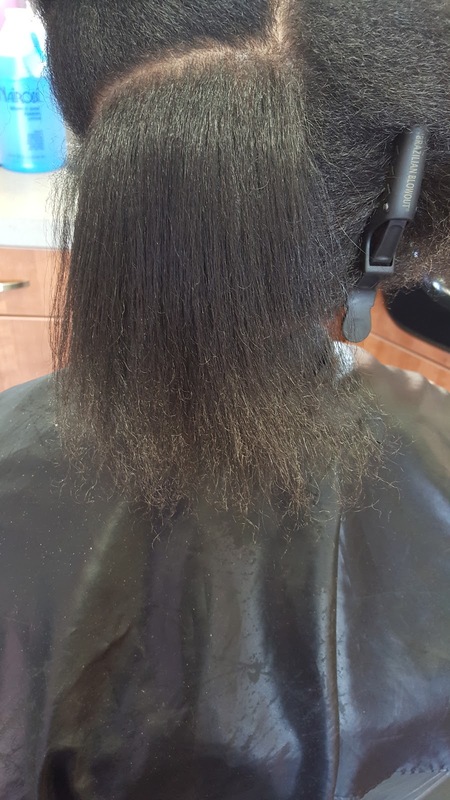 Luckily this client did not care how much needed to be trimmed. Her only concern was that all the split ends were gone and that her hair looked healthy. 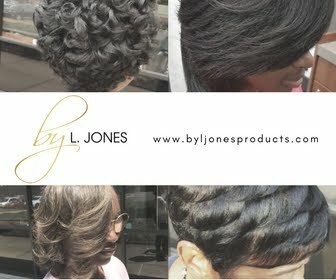 She had been looking for a hairstylist and found me online so she jumped on the opportunity to come get her hair right. So, this was her first appointment and she was pleased! Her hair had lots of body and bounce. All she would need to do is wrap it and it will last until she wets it again. 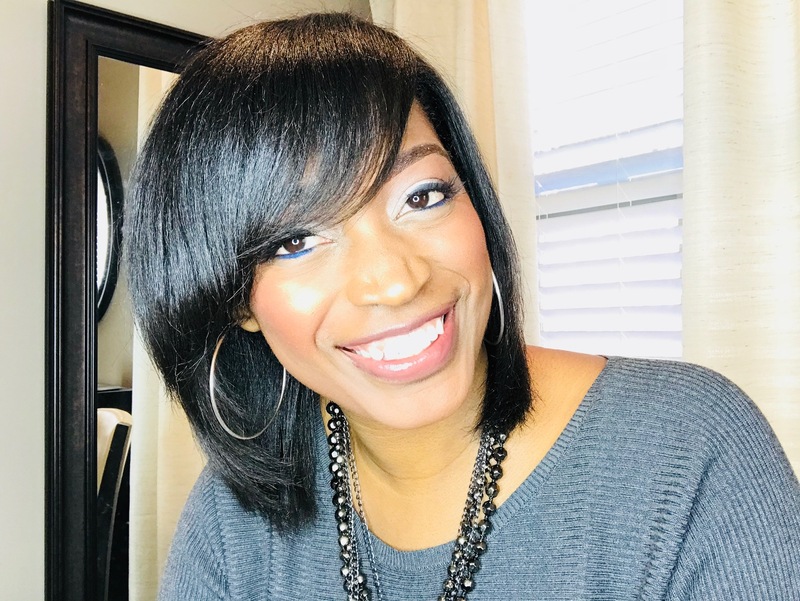 Products used on her hair: Silk Hydration by L. Jones Clarifying Shampoo, Moisturizing Shampoo, Replinishing Conditioner, Leave-In Conditioner, and Miracle Potion no9 (in that order). OMG! I've been saying this to anyone who will listen about myself, I need a trim so badly but I hate doing them myself and I don't have the time during the hours most salons are operating to get one done. I've been to Birmingham twice for business and wish I'd remembered you were there because I certainly would have loved for you to straighten and trim my hair! She didn't trim her hair. 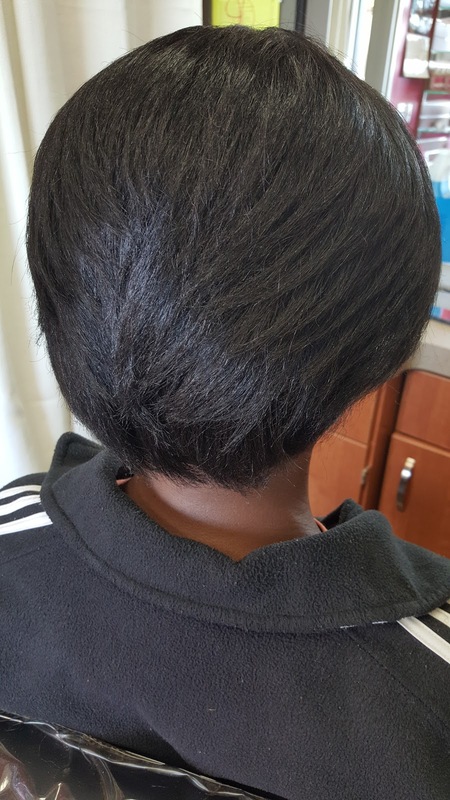 She CUT off 25% of the client's hair. Sometimes that is required when you go YEARS without trimming your hair.